Welcome to Ho Chi Minh City, Tan San Nhat International Airport. Pick up and transfer to Nam Cat Tien National Park. Afternoon visit the nature beauty of the forest including of old tree and stream. After dinner, enjoy the night safari tour to explore the wild life at night. Overnight at hotel in Nam Cat Tien forest. After breakfast, enjoy full day biking and trekking tour to Bau Sau. 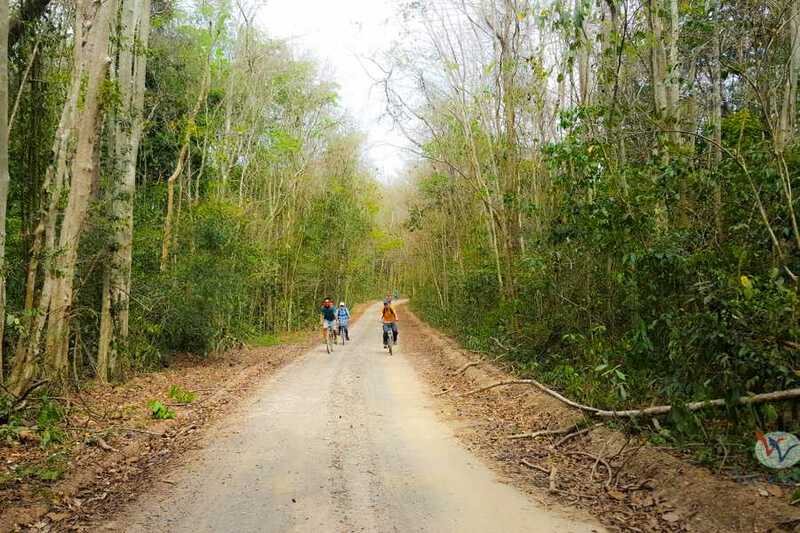 The total is 20 km of biking and 10 km of trekking to Bau Sau – Crocodile Lake. Overnight at hotel in Nam Cat Tien forest. After breakfast, depart to Chua Chan Mountain, enjoy climbing mountain 837 m with total distance 8 KM – 3 hours of trekking. Back to Ho Chi Minh City in the afternoon. Overnight at hotel in Ho Chi Minh City. Driver pick up and transfer to Tan San Nhat International Airport for departure. End of service.